Which do you think would have the greater volume and mass? Why? 1 Which do you think would have the greater volume and mass? Why? 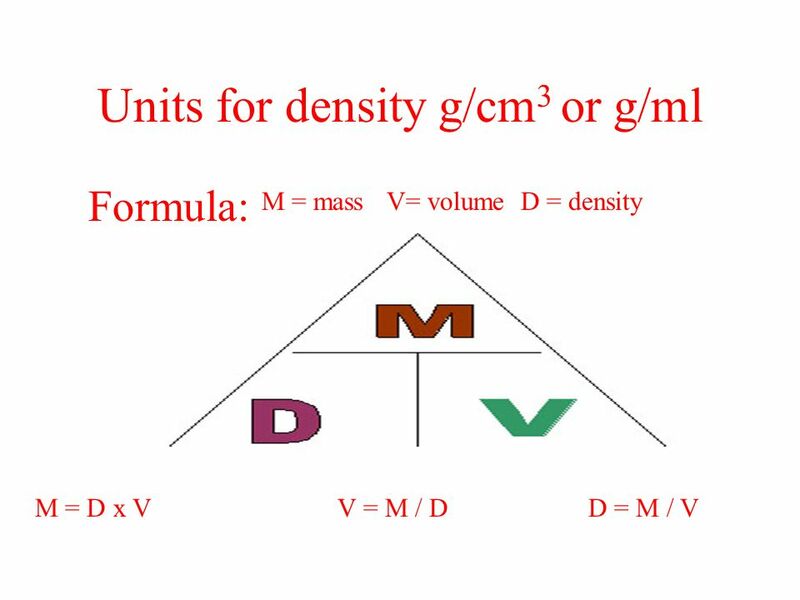 2 DENSITY Density is defined as mass per unit volume. It is a measure of how tightly packed and how heavy the molecules are in an object. Density is the amount of matter within a certain volume. Density is the amount of matter within a certain volume. 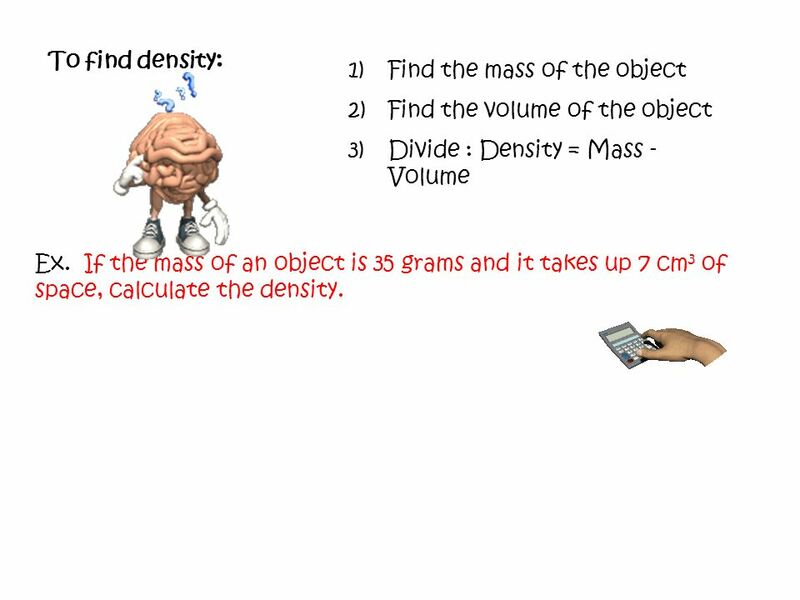 6 To find density: Find the mass of the object Find the volume of the object Divide : Density = Mass - Volume Ex. If the mass of an object is 35 grams and it takes up 7 cm3 of space, calculate the density. Download ppt "Which do you think would have the greater volume and mass? Why?" 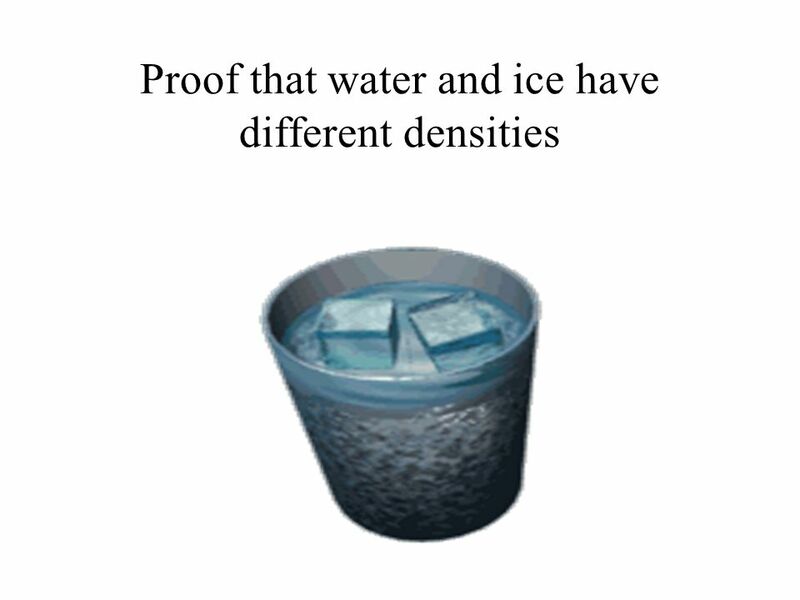 Density – Sinking or Floating Density Density is the amount of matter in a given amount of space. Density is the amount of matter in a given amount of. How compact is the material? IPC Notes Density. 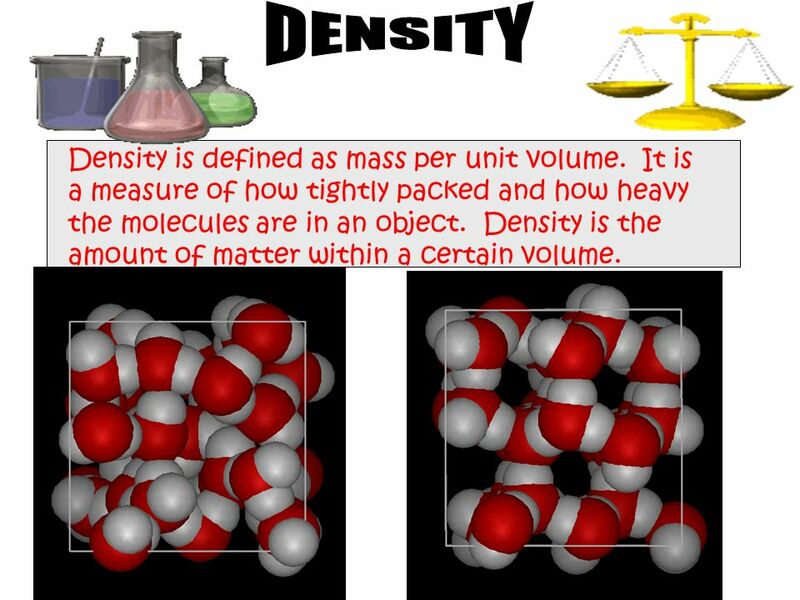 density – the mass of an object per unit volume ex) the density of a substance describes how tightly packed the molecules are. Chemistry Notes Density. density – the mass of an object per unit volume ex) the density of a substance describes how tightly packed the molecules are. Measurement. Volume – Regular Shaped Object You can find the volume of a solid by multiplying length, width, and height together. Formula : V = l x w.
What is Density? 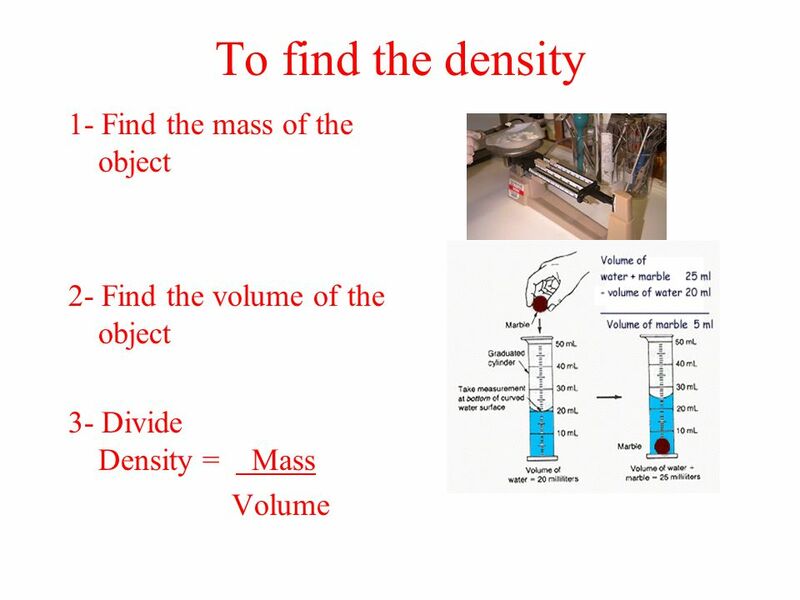 Density is defined as the mass per unit of volume. Or How much mass we have in a given space. Density If density is a measure of how tightly the matter within an object is packed together which of the cubes above has the greatest density? Density. Which do you think would have the greater mass? Greater volume? Why? 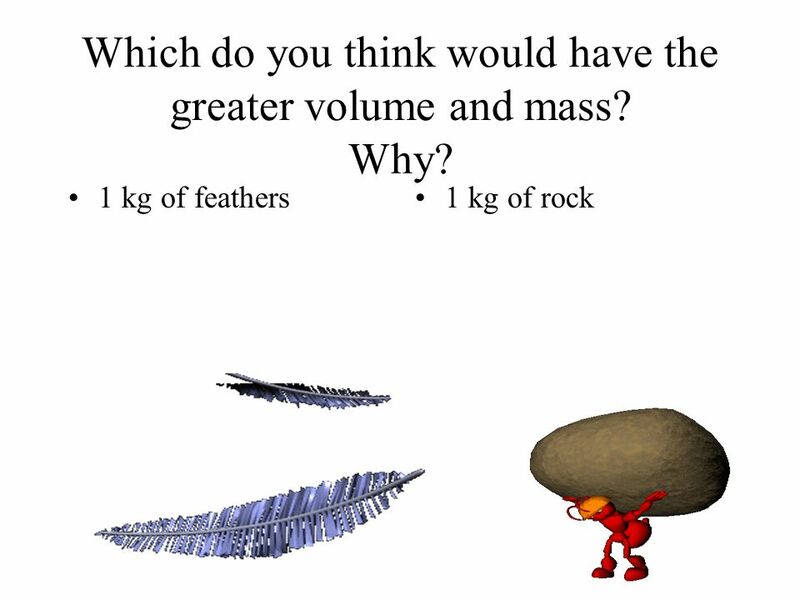  1 kg of feathers  1 kg of rock  Same mass!  Larger volume  Same mass! 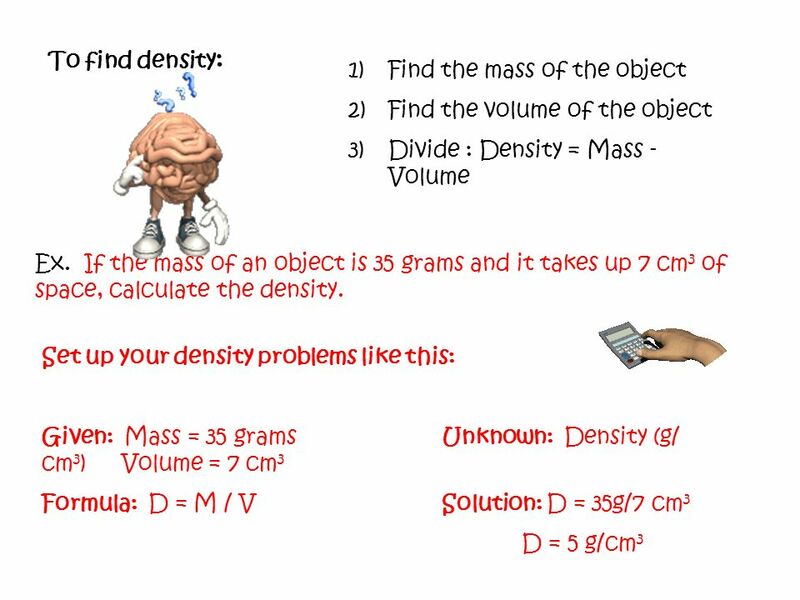 BEFORE WE DEFINE DENSITY WE NEED TO KNOW WHAT MASS AND VOLUME IS? Go ahead and write in your composition books what you think mass and volume is? Hints. Density Density describes how heavy an object is compared to its size. Mass, Volume, & Density Mass Measurement of the amount of matter (or stuff) in an object –Measured in grams (g) –Measured by a balance (triple beam or. Investigation Activity 4. Problem: Calculate the energy involved in an asteroid impact Asteroid Characteristics: Spherical, iron-nickel with density of.